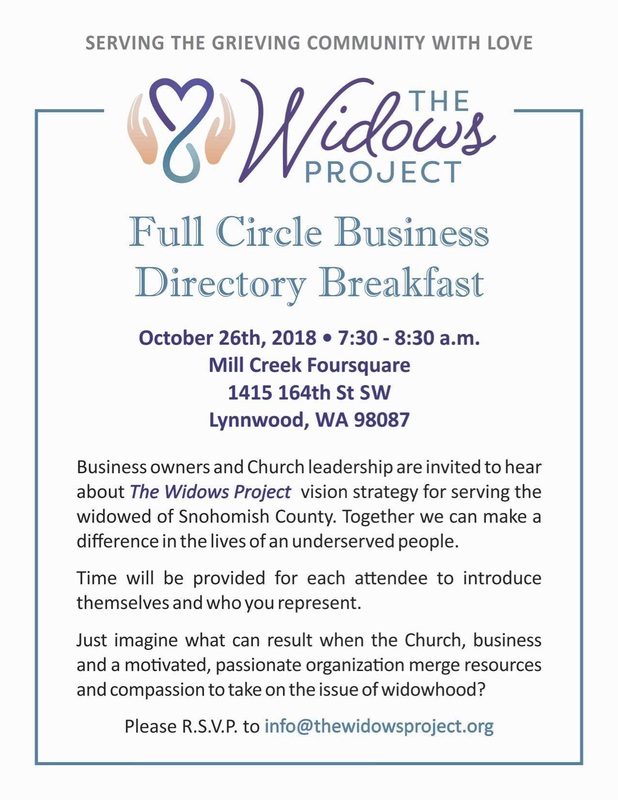 Business Owners and Church Leadership are invited to hear about The Widows Project’s vision strategy for serving the widowed of Snohomish County. Together, we can make a difference in the lives of an under-served people. 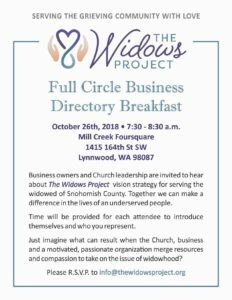 Just imagine what can result when the Church, business and a motivated, passionate organization merge resources and compassion to take on the issue of widowhood.